Simpson is the first Chairwoman of the Board of Trustees of the Seattle’s Museum of Flight, and she has additional experience in Executive Compensation, Nominating and Governance, and three-year budgeting cycles with contingency planning. An expert in both Crew Resource Management and Threat and Error Management, she has led by example in a male-dominated profession and non-profit organization. Simpson is one of the first 50 women hired by any major airline and the 3rd woman ever hired by Northwest (now Delta). One of the first 30 women hired by any major airline, Simpson recently capped a stellar career for Delta Air Lines. She was the third woman in to be hired by Northwest Airlines, now part of Delta, where she served as an airline pilot for nearly 35 years. 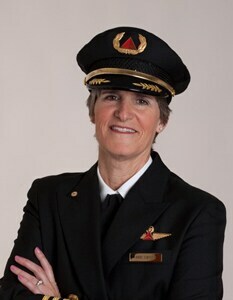 In early 2000 Simpson was one four Boeing 747 female captains in the world and retired as an Airbus A330 Captain in 2015. Despite bidding farewell to her captain responsibilities, she has remained with Delta to lend a helping hand as part of the Delta Pilot Selection team where she interviews the next generation of commercial pilots. Nan Stoops has worked in the anti-violence movement as an advocate, trainer, and organizer for more than 40 years. Currently, she serves as the executive director of the Washington State Coalition Against Domestic Violence, a non-profit organization that works on behalf of 73 community-based domestic violence advocacy agencies in Washington. 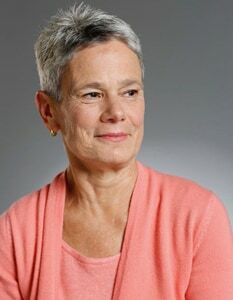 Before coming to WSCADV in 1998, Nan was the associate director of the Faith Trust Institute, a national organization that mobilizes religious leaders and communities to address sexual and domestic violence. Nan was a founding member of INCITE! 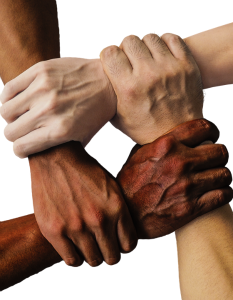 Women of Color Against Violence, is a past board chair of the National Network to End Domestic Violence, and has served on numerous boards and advisory groups. For balance, Nan relies on her family, baseball, and movies (usually in that order). Maggie Walker is a self-proclaimed generalist, a big-picture person who believes in the importance of context. For decades, Maggie has been building partnerships throughout the community and its institutions, from the University of Washington to the Seattle Art Museum to the Woodland Park Zoo. Among the many organizations to which Maggie has contributed, the zoo holds a special place in her heart. 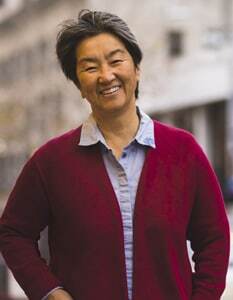 She served on its board for nine years-motivated partly by an environmental ethic, but mostly by an interest in connecting diverse elements of the community. Though she is now retired from the zoo’s board, Maggie remains deeply involved in community work across the city—both as a leader and as a philanthropist. These dual roles play out in her work with The Seattle Foundation where she is not only a donor, but also has served as a Board Chair. Maggie is excited about the work the Foundation is doing to identify and address community issues. For Maggie and her late husband, WRQ founder Doug Walker, their supporting organization at The Seattle Foundation allowed them to do it all—making it possible for her to be a hands-on philanthropist and a big-picture person, all at the same time. 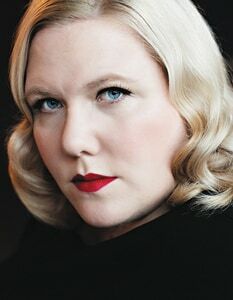 Seattle-based writer, editor, and performer whose work focuses on pop culture, social justice, humor, and body image. She is a feminism and culture Op-Ed contributor for The New York Times and her work has appeared in This American Life, The Guardian, Cosmopolitan, GQ, Vulture, Jezebel, The Stranger, and more. She is the founder and editor of I Believe You, It’s Not your Fault, an advice blog for teens, as well as the reproductive rights destigmatization campaign #ShoutYourAbortion. In addition to the Inspiring Women honorees, the Seattle Storm will also welcome special musical guest Lakin, a California-based singer and songwriter whose combination of genre-defying musical styles shine through in her heartfelt lyrics and powerful performances. Thank you to our Champions for taking a stand with the Storm in our quest to build a stronger community.